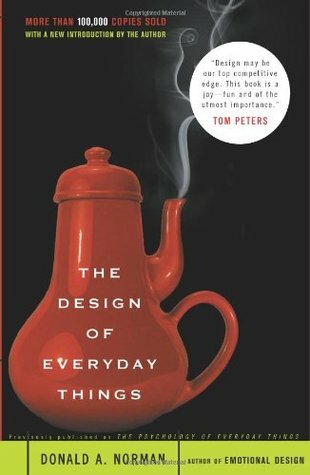 Anyone who designs anything to be used by humans -- from physical objects to computer programs to conceptual tools -- must read this book, and it is an equally tremendous read for anyone who has to use anything created by another human. It could forever change how you experience and interact with your physical surroundings, open your eyes to the perversity of bad design and the desirability of good design, and raise your expectations about how things should be designed. The organization of letters on a blank sheet—or screen—is the most basic challenge facing anyone who practices design. What type of font to use? How big? How should those letters, words, and paragraphs be aligned, spaced, ordered, shaped, and otherwise manipulated? 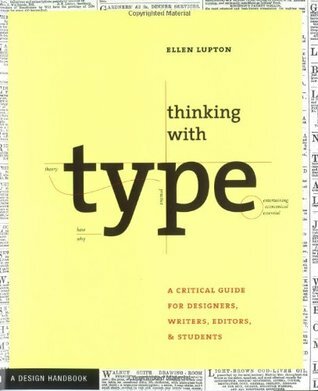 In this groundbreaking new primer, leading design educator and historian Ellen Lupton provides clear and concise guidance for anyone learning or brushing up on their typographic skills. French flaps. 382pp. Beautifully produced. Comprehensive discussion of five and a half centuries of type, alphabets, design, etc. Glossary. appendix that illustrates typographic characters. 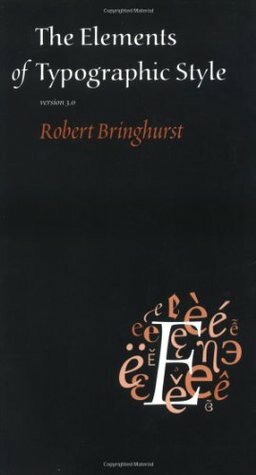 Renowned typographer and poet Robert Bringhurst brings clarity to the art of typography with this masterful style guide. 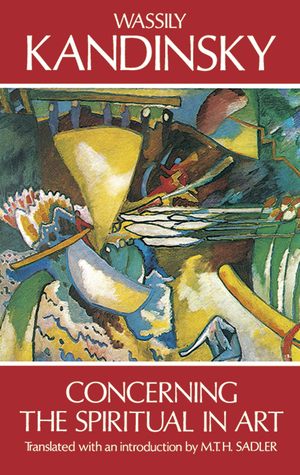 The celebrated design professor here tackles the question of how best to communicate real-life experience in a two-degree format, whether on the printed page or the computer screen. 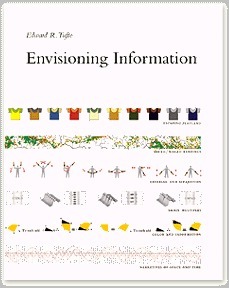 The Whole Earth Review called Envisioning Information a "passionate, elegant revelation." Did you ever wonder why cheap wine tastes better in fancy glasses? Why sales of Macintosh computers soared when Apple introduced the colorful iMac? 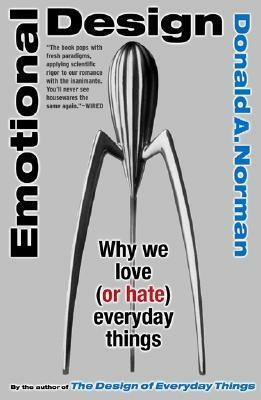 New research on emotion and cognition has shown that attractive things really do work better, as Donald Norman amply demonstrates in this fascinating book, which has garnered acclaim everywhere from Scientific American to The New Yorker.Emotional Design articulates the profound influence of the feelings that objects evoke, from our willingness to spend thousands of dollars on Gucci bags and Rolex watches, to the impact of emotion on the everyday objects of tomorrow.Norman draws on a wealth of examples and the latest scientific insights to present a bold exploration of the objects in our everyday world. 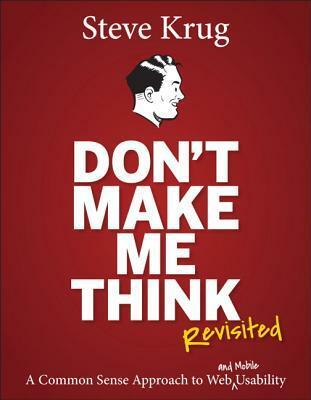 Emotional Design will appeal not only to designers and manufacturers but also to managers, psychologists, and general readers who love to think about their stuff. Effective layout is essential to communication and enables the end user to not only be drawn in with an innovative design, but to digest information easily. 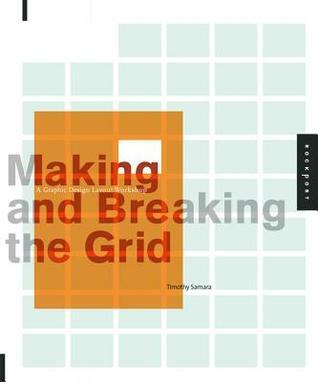 Making and Breaking the Grid is a comprehensive layout design workshop that assumes that in order to effectively break the rules of grid-based design, one must first understand those rules and see them applied to real-world projects. 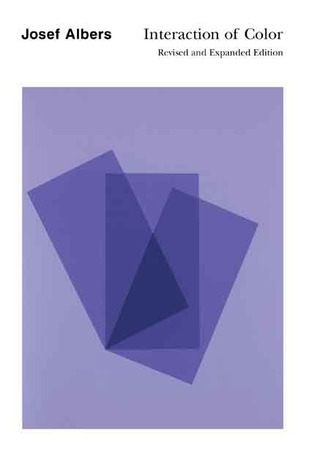 Basics include composing typographic space, format determination, and sequencing and systemization. Various types of grids manuscript, column, modular, hierarchical are also covered. Text reveals top designers' work in process and rationale. Projects with similar characteristics are linked through a simple notational system that encourages exploration and comparison of structure ideas. Each project is shown comprehensively so readers can see its structure revealed over several pages, at a size that allows for inspection of detail. Also included are historical overviews that summarize the development of layout concepts, both grid-based and non-grid based, in modern design practice. Smart organizations recognize that Web design is more than just creating clean code and sharp graphics. A site that really works fulfills your strategic objectives while meeting the needs of your users. Even the best content and the most sophisticated technology won't help you balance those goals without a cohesive, consistent user experience to support it. But creating the user experience can seem overwhelmingly complex. With so many issues involved-usability, brand identity, information architecture, interaction design-it can seem as if the only way to build a successful site is to spend a fortune on specialists who understand all the details. The Elements of User Experience cuts through the complexity of user-centered design for the Web with clear explanations and vivid illustrations that focus on ideas rather than tools or techniques. 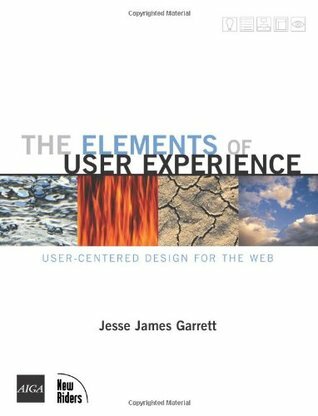 Jesse James Garrett gives readers the big picture of Web user experience development, from strategy and requirements to information architecture and visual design. This accessible introduction helps any Web development team, large or small, to create a successful user experience.